In terms of popularity, MySQL is among the most sought after databases across the global IT population. There are some obvious reasons to this, including easy manageability, cost efficiency, and seamless compatibility with the leading hosting service providers. MySQL is enabling a wide array of organizations across all industry verticals for enhancing interactions with their customers and for achieving robust protection of their online transactions. There are several challenges being encountered by organizations in terms of up-scaling to support major growth of their apps. One must try to gain a thorough knowledge about relevance of MySQL for facilitating environments that are governed with high growth challenges. Similarly, you need to be well informed about issues in MySQL that can impact business processes. 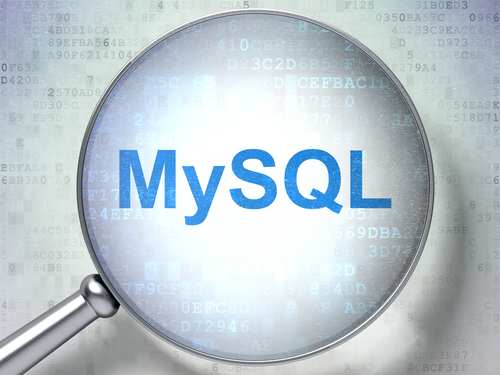 MySQL empowers security of online transactions with its single unit attribute. No transaction is allowed to complete in MySQL environment unless and until all individual operational stages are successfully accomplished. This means that an entire financial transaction would come to a grinding halt of any of the operation happens to fail at any particular stage. Failure of the transaction means reversal of the entire process to its initial stage and the transfer of money is also held up. One of the most compelling features of MySQL is its exceptional flexibility. Users are able to manage intense and deeply embedded operations without any hassles. Even the extremely massive volumes of data in large data center facilities can be efficiently managed with help of MySQL. Users of ecommerce applications can also leverage remarkable customizability of with a considerably smaller footprint. MySQL also supports seamless flexibility of platforms to empower organizations that require their databases to have attributes of greater functionalities and extra features. MySQL is extensively regarded for its guaranteed availability. It ensures incessant uptime for the enterprise websites. Assured access is ensured by a wide spectrum of configurations with master-slave replication and covers variety of cluster servers. MySQL boosts a large multitude of queries to facilitate high performance processing systems and large e-commerce applications. Needless to mention, it also allows optimum speed, unique memory caches, and full text indexes. Sensitive and business critical data needs to be protected on priority by every organization. This can be ensured with help of outstanding data encryption attributes of MySQL. This facility ensures prevention of unauthorized infringement or viewing of information with additional support of SSL and SSH for flawless connections. Reliable access control mechanism of MySQL guarantees server protection from unauthorized intruders. It can also provide access denial at the level of man-machine. What’s more, users can operate point in time recovery feature by leveraging the data backup feature provided by MySQL. MySQL enables rapid and complete installation right from the stage of download in the matter of fifteen minutes only. MySQL offers amazing speed irrespective of the platform and comes with additional features of space expansion, auto configuration changes, and auto restart to boost self management. MySQL also offers an integrated set of migration tools and a full feature graphical management suite. Users can also leverage real-time performance monitoring in order to accomplish troubleshooting tasks that are associated with operations right from a single machine. MySQL helps develop and launch apps instantly due to the above mentioned features. Cost effectiveness of MySQL is being leveraged by organizations from all sectors including manufacturing, finance, marketing, and healthcare just to name a few. Extended time for development- Data consistency is usually disrupted on account of replication lag and frameworks that are difficult to be optimized with master-slave setups. This calls for a seamless coordination between apps and database teams. Replication issues- In case of multi-user formats MySQL servers usually encounter conflicts of replications if a manual failover happens. Costs of database logins- High costs of database logins results in disablement of databases. This causes lack of actual understanding about real time visibility thus delaying troubleshooting tasks. Ineffective query cache- If you need to handle extremely high volume of workloads, then the query cache offered by MySQL will fall short of your expectations since it is not possible to control cache invalidation. Connection management issues- Resource utilization for managing connections can lead to exhaustion of valuable resources. This is caused due to concurrent user sessions in a LAMP stack environment. This leads us to understand value of database load balancing applications that simplifies scalability by augmenting capability of failover.